Home / How to find reliable pool table movers? Are you moving? Or maybe, you are moving only some part of your furniture? Maybe you are moving away from your parents, and there is that one huge item that you want to move and carry with you. Something like a pool table. There are so many ways to move this giant item, so many ways to do it yourself. However, this is one thing that you probably shouldn’t do yourself, for a number of reasons. Before we start mentioning those reasons, let’s just say that you should simply hire pool table movers, and here’s why. Do you really need pool table movers? When people are moving, they usually want and think that they can do some things better than a professional. That is where they make their first mistake. When you want to move a big item such as a pool table, you have to investigate a bit on how to do so and get without any injuries. That is the first concern when you want to move a pool table, that you can get seriously injured. Therefore, if you have the slightest doubt on how to do this, do not think anymore, just hire pool table movers to do this for you. No one will move your pool table better than people who are doing this for a living. In case you are moving your pool table to a storage space, make sure to check affordable Miami storage for the best service possible. By using their storage space, you can be rest assure, that your items will be safe, and taken care of. How long are they in the business? Do they have moving insurance? These are some of the first things you are checking when looking for movers in general, and there isn’t much difference when looking for a pool table movers. So, find some companies and make a checklist to see if they are the ones you need for this part of your move. How that move should look like? When you find pool table movers, and they start doing their job there are some things that can concern you and they really shouldn’t. For example, one of the first steps that your movers will do is to reassemble your pool table. Do not worry, they know how to do this, step by step. That is why they are called pool table movers. Give them time, and do not put any pressure on them with your questions. Screw by screw you will have parts of your pool table around you in no time. This is the best way to transport the pool table, in parts. In this way, they will transport the pool table to its final destination, where they will assemble what they have disassembled before. There are a lot of ways in which you can move a pool table on your own. However, you should be warned that it may not go as planned. There are a lot of things that can go wrong. You cannot say you haven’t been warned. There is a number of injuries you can sustain, from spraying your back to having a cracked toe from the pool table. Therefore, if you do decide to move the pool table with a DIY way, make sure to ask some friends to help you. Also, you should still disassemble it. If you don’t know how just give up and call the people who do. What would you like more? A broken bone and damaged pool table, or paying for a great service that pool table movers will provide you with? At the end of the day, DIY way of moving the pool table can cost you more than moving service. Have a look at Miami moving services, for any information, or question you may have. Definitely, hiring the pool table movers is the solution you are looking for. They have everything that this type of move requires. 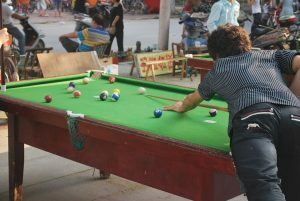 It is not all about, having a big van or truck where you and a couple of your friends will bring the pool table in. It is a bit more complicated than that. First, there is a lot of tools that you will need. Second, it is a must to know how to disassemble the pool table and how to put everything back after. Third, movers will know what part of the pool table goes where. Fourth, they already have a moving truck that is big and equipped enough for something like this. 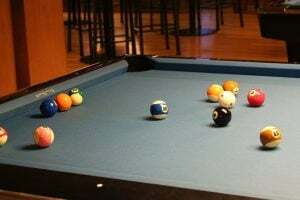 Therefore, the conclusion is that you can if you want to move the pool table on your own, but the smarter and less stressful solution would definitely be to hire the professionals to do this for you. Movers are here for a reason, to make our moving process easy. Therefore, hiring them is never a mistake. If you find a good mover’s company, paying the price they are asking for and even tipping the movers is something you ought to do. It is great to find a reliable moving company where your only job would be to let them know where to move your items. 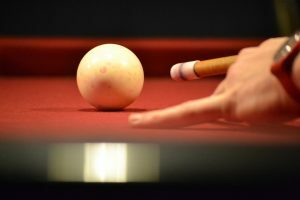 If you are not sure, do not let yourself damaging the pool table. Leave this job to the professionals and enjoy playing pool. Movers are late on moving day – what should you do?